Although you probably won’t hear these women talking about glass ceilings, they have broken right through it at Torrey Pines Bank. Their leadership skills have advanced them to senior roles within the bank. Each has also taken the helm to expand the bank’s presence with key niche audiences that are critical to the bank’s continued growth. With vast industry knowledge and a broad understanding of the local market, they deliver unparalleled personal guidance and advice for their customers above average results for the bank. 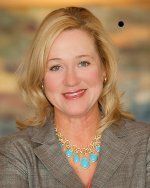 Teofla Rich joined Torrey Pines Bank in 2003 as senior vice president and private banking manager. With more than 30 years in various aspects of commercial and private banking, Rich is attuned to the financial complexities, personalized service and confidentiality required to support business owners and affluent individuals. In 2010 Teofla successfully launched the bank’s Women’s Banking Group, to attract female entrepreneurs and professionals to the bank that is focused on meeting their needs. Teofla received a bachelor of arts in economics from San Diego State University. She received the distinction of Certified Financial Planner in 1998 and since then has been a member of the Financial Planning Association. Teofla is also a member of the Dean's Advisory Council for the College of Arts and Letters at San Diego State University. 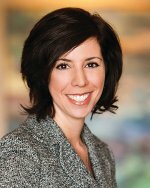 Francesca Castagnola is senior vice president and manager for the bank’s Symphony Towers office. She is a founding officer of the bank, having been asked to join in the organization phase in 2003. Having seen most aspect of the industry for close to 20 years, Francesca is the consummate banking professional. In 2009 Francesca was asked to step up into the role of team leader for the bank’s Not-for-Profit professional banking group. The team of professionals provides guidance and advice to 501 ( c ) not-for-profit organizations, foundations, municipalities and universities and colleges on a variety of banking matters including asset placement, tax credits and FDIC insurance options. Gail E. King is senior vice president, commercial lending officer for the bank’s Carmel Valley Office. She has also been with the bank since 2003. King's banking experience has emphasized business development and relationship management of corporate and personal banking, focusing on credit and investment services. Her lending areas of expertise include: law firms, CPA firms, equipment financing and real estate investment. 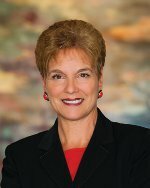 In 2010 Gail was asked to step up into the role of team leader for the bank’s Juris professional banking group, which focuses on the firms and professionals in the legal community and includes proprietary banking services for San Diego based law firms, the partners and associates, and law students. These leaders share an additional common trait: their social networks provide excellent sources of information that ensure they are well connected into the business community. Instinctively they know that business is personal, which is reflective of the ‘influential' leadership style, which garners ample and productive relationships. For other female (and male) bankers seeking leadership roles, the good news is you can find a home at Torrey Pines Bank. As many banks announce RIFs through attrition and layoffs, Torrey Pines Bank continues to grow. And its strong financial condition enables the bank to continue to meet the cash management and lending needs of its customers.